Avail our services and safeguard yourself with the best travel plan. At Krishna Trip, we assist clients in comparing insurance policies offered by the top insurers and making the righteous selection that covers clientsâ�� needs and budget. 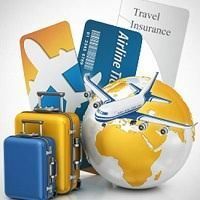 With our help, you can get insurance cover for certain incidents such as trip cancellation, baggage loss, passport loss, and other medical emergencies. We are based in Kanpur City (Uttar Pradesh, India) and advise you to purchase insurance policy at the time of trip booking so that the coverage of the entire trip can be availed. For any assistance or inquiry, feel free to dial the given numbers.